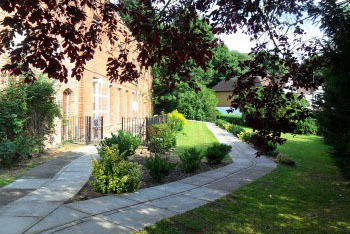 At Cassiobury Court, we offer private rehabilitation for drug and alcohol addictions in a beautiful residential setting. Our centre is based in Watford, London and offers a peaceful setting with discreet gardens and grounds that everyone is free to enjoy during their stay with us. What’s Included with private rehab treatment? With private treatment there is no waiting around, you could need urgent care and that is not an issue at Cassiobury Court, we are able to carry out an admission process and get you into our centre on the same day if needed. Urgent care is what sets private treatment apart from treatment offered from public services as we always have a bed available which comes with a strictly dedicated team that deals with people suffering from addictions every day. If you would like to find out more about our services or if you have any questions about the centre in general then please feel free to get in touch with our team now on 01923 369 161. We take pride in offering a quick admission process that makes sure you can start receiving treatment as fast as possible. By getting in touch with us directly, you will be rapidly speeding up the process of your recovery and depending on the state of your addiction this could potentially be a lifesaver. The treatment we offer is carried out by professionals with years of experience in addiction recovery. The amount of time you are with us is completely dependant on the severity of your addiction and how long the detoxification process takes. The detox process of your rehabilitation includes the removal of all harmful toxins from your system, this can cause withdrawal symptoms that can make the process uneasy. If you are struggling with the withdrawal symptoms you will receive detoxification to help ease any pain you may be experiencing. After a successful detox, you will then move onto therapy and counselling sessions which will help you start taking control of your mind and teach you how to fight the urges that trigger your addiction. If you are interested in our private drug and alcohol treatment programmes than please get in touch with our team now on 01923 369 161 or fill out our contact form and we will be in touch.